The term judicial opinion can be a misnomer as rarely are judges’ true feelings on legal issues and the work they do made available to the public. Judges are constrained when writing decisions to follow the law and leave personal commentary aside. Through a series of revealing interviews, this book gathers empirical data from judges and justices from different legal systems to provide a scintillating look at how they view their jobs and cope with difficult legal matters. Interviews are conducted according to strict guidelines with a standardized format for consistency. Each chapter begins by describing the region and its style of judicial governance. This is followed by an interview with a judge or justice in the particular jurisdiction. They discuss their careers, personal judicial philosophies, the problems and successes they’ve experienced, and how theory influences practice in their jurisdiction. Many also discuss transnational relations and several chapters include glossaries that explain unfamiliar terms and acronyms. Each chapter concludes with the interviewer’s assessment and observations. This structure allows readers to easily compare the views of judges and to see the similarities, the differences, and the uniqueness of the different legal models and systems. 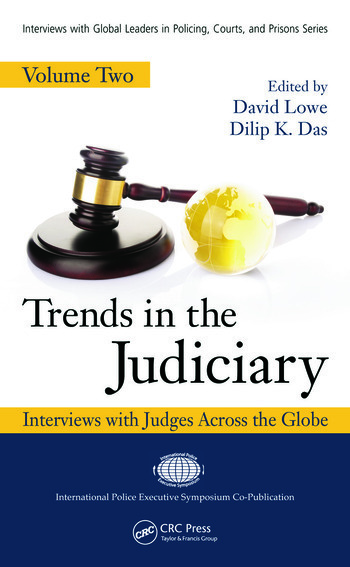 Trends in the Judiciary: Interviews with Judges Across the Globe, Volume Two is the seventh publication in the Interviews with Global Leaders in Policing, Courts, and Prisons series. The broad-based coverage of varying viewpoints in this text encourages a great breadth of understanding of global justice. United States: Interview with Judge Anthony "Rex" Gabbert, Appellate Judge, Western District of State of Missouri; Michael T. Eskey and Michael T. Eskey Jr.
David Lowe is a principal lecturer at Liverpool John Moores University’s Law School. Prior to academia, he was a police officer for 27 years with the UK Merseyside Police. Most of his service was as a detective in the United Kingdom’s Special Branch Counter-Terrorism Unit. His work in the area of policing, terrorism, and security has been published in books and journals, including his latest work, Examining Political Violence: Studies in Terrorism, Counterterrorism and Internal War. He also appears regularly in television, radio, and print media in the United Kingdom, the rest of Europe, and the United States for commentary in these areas. 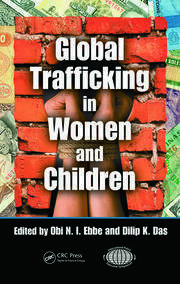 Dilip K. Das is a professor of criminal justice, former police chief, founding editor in chief of Police Practice and Research: An International Journal, and a human rights consultant to the United Nations. 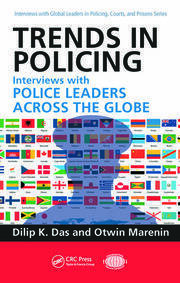 After serving in the Indian Police Service for 14 years, he moved to the United States, where he later became the founding president of the International Police Executive Symposium and the founding editor of Police Practice and Research: An International Journal. He has authored, edited, and coedited more than 30 books and numerous articles, has received several faculty excellence awards, and was a Distinguished Faculty Lecturer. He is also a human rights consultant to the United Nations.